Like many new compacts this year, the PowerShot A640 is basically an enhanced version of an earlier model. Since its predecessor was the award-winning A620 though, this is no bad thing. Essentially Canon’s taken the A620, enlarged its screen to 2.5in, popped in a 10 Megapixel sensor and increased the maximum sensitivity to 800 ISO. Taking each enhancement in turn, the bigger screen is welcome and puts it in line with other compacts. We’re also really pleased Canon’s kept the invaluable flip-out and twist facility, although disappointed the actual screen resolution is relatively low to keep costs down – it really does look quite coarse at 2.5in compared to higher resolution screens commonly found on other compacts. That said, it can still lay claim to having the biggest flip-out and twist screen on the market. 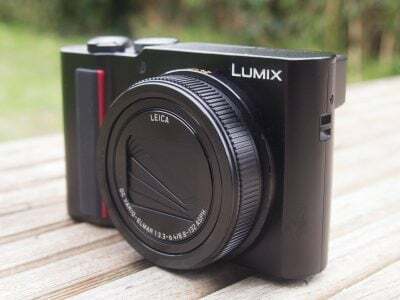 The increase to 10 megapixels genuinely records more detail than its predecessor, and under ideal conditions at low sensitivities the A640 is actually capable of recording similar levels to a 10 Megapixel DSLR. This is pretty impressive performance, although don’t for a minute think the results are comparable at higher sensitivities. Speaking of which, the increase to a maximum of 800 ISO is still quite modest compared to the 1600 and even 3200 ISO modes boasted by other compacts, but of course it’s the quality that counts. Interestingly the A640 adopts a different approach to noise compared to most compacts these days. It appears to apply much lower noise reduction to avoid smearing fine detail, although at the cost of visible noise speckles. Ultimately it’s a personal choice as to which looks best, but we prefer Canon’s approach as at least the detail’s there and you can apply further noise reduction in software later as required. In terms of usability at higher sensitivities, the A640’s images are clean up to 200 ISO with noise only creeping in at 400 ISO when viewed very closely. At 800 ISO though the noise levels become quite obtrusive, and it’s best reserved for small prints or emergency use. That’s still not bad performance though, considering the sensor’s resolution – see our Canon A640 Gallery for examples. What really separates the A640 from most compacts though is its degree of manual and creative control. It gives you full access to the aperture and shutter, along with quick and easy adjustments of all settings including a broad range of flash options. While physically larger and heavier than most compacts, it’s comfortable to hold and sports a decent grip. The lens is also slightly longer than average 3x zooms and the 1cm macro facility is remarkable. It’s just a shame you’ll need to supply your own set of rechargeable AA batteries. Of course everything in that last paragraph equally applies to the earlier A620 and it’s fair to say like many 2006 compacts, the new A640 isn’t a massive step forward; like its predecessor, it also remains too big for anyone wanting a super-slim model to slip into a pocket. But if you’re after a powerful compact which delivers great quality pictures with excellent creative options, it’s hard to find a better model. The A640 is an ideal camera both for beginners wanting to take their creative photography forward and enthusiasts who want a flexible compact to compliment a DSLR. As such it comes Highly Recommended. To see this camera’s highlights, check out our Canon A640 video tour and please visit our Compact digital camera Buyer’s Guide for an update of the best buys in this category.